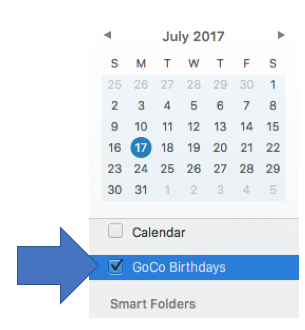 How do I add GoCo calendar events to Outlook 365? Outlook 365 has recently changed how to import ICS files. 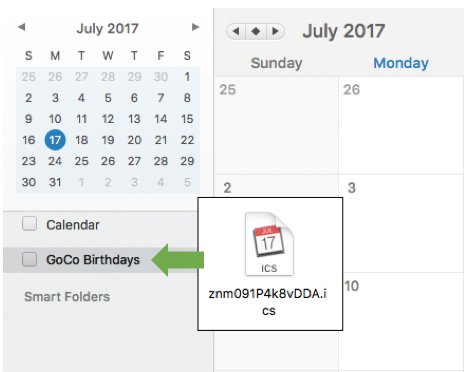 ICS files are what GoCo uses to automatically update Outlook 365 when someone has a birthday, work anniversary, or some time off. 2. Copy and paste the relevant .ics file into a new tab in your browser. This will download the file. Remember where this file was saved. 3. 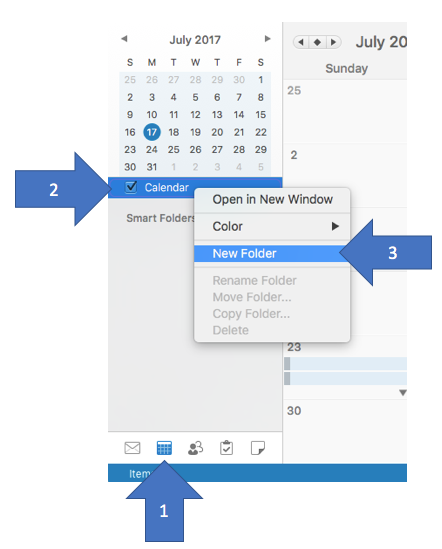 Open Outlook 365 and go to the Calendar (see arrow 1 below). 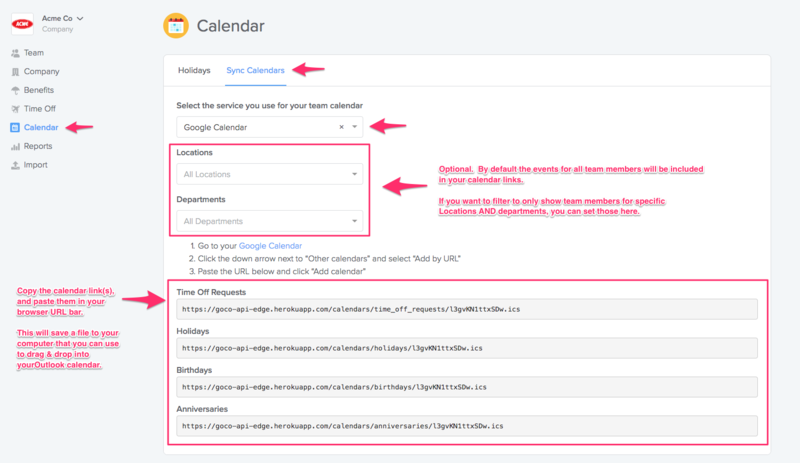 Right click the name of the Calendar (arrow 2). Click New Folder (arrow 3). Name it whatever you want. 4. Open the folder where you downloaded the ICS file. Click and drag the ICS file into your new Outlook Calendar. 5. Check the folder to enable it. You're done!